This explains why such DNA modifications play a major role in the differentiation of stem cells. “Several unusual nucleobases have been found in the genomes of stem cells, which are produced by targeted chemical modification of the known building blocks of DNA. 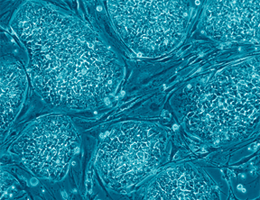 These ‘atypical’ bases are thought to be important in determining what types of differentiated cells can be derived from a given stem cell line,” says Professor Thomas Carell from the Department of Chemistry at LMU. All of the unconventional bases so far discovered are derived from the same standard base – cytosine. Furthermore, Carell and his team have shown in earlier work that so-called Tet enzymes are always involved in their synthesis.